Hello Problem Drastic Rom Encrypted help me please? You need the official Nintendo DS BIOS. You can find it on the Internet. dsattorney wrote: You need the official Nintendo DS BIOS. You can find it on the Internet. As far as I know (unless there's a hack I'm unaware of), this is a DSiware-only game, and DraStic does not currently support DSi emulation. We can't share that, you have to extract it from your Nintendo DS or find it on the Internet. Then you'll have to search around the Internet to get it. There should be two files with the names ARM7 and ARM9. Sometimes they come on a compressed file of some kind. To use em with DraStic, you should put them in the system folder inside the DraStic folder inside your Internal Memory. 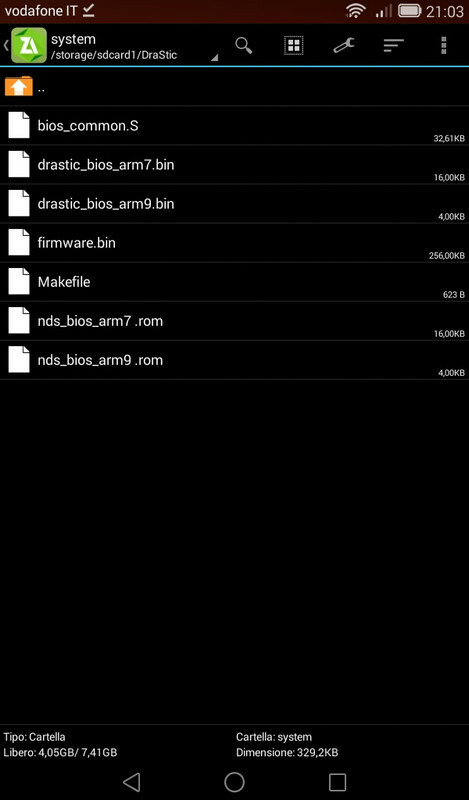 They should be named like this: "nds_bios_arm7" and "nds_bios_arm9" respectively. 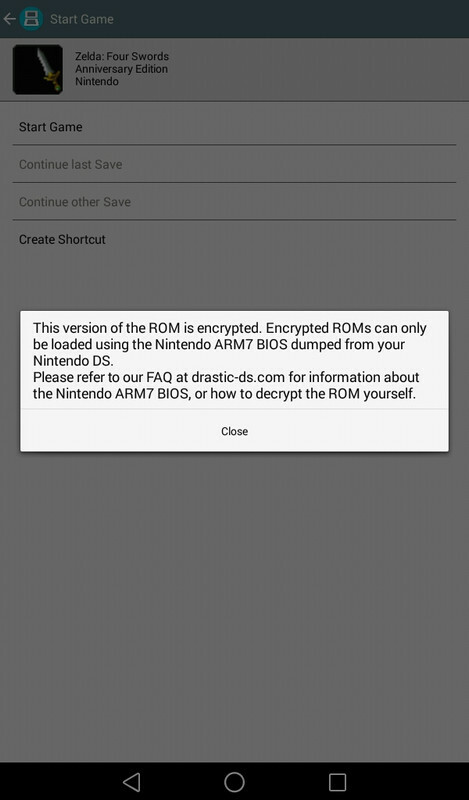 And the emulator should recognize them and be able to run encrypted games. If it still doesn't run, maybe it is for the case that xperia64 explained earlier. This game is downright incompatible with DraStic because it is a DSi game, not a DS game. You have to change the extension of the last two files to .bin. And delete all the other files if you want.